Not everyone knows Indian Economy well. Not even economists! But thanks to the Economic Survey, many interesting facts about Indian Economy have been brought to light. There are interesting facts and statistics that can give you valuable insights about the potential of India. 1. India has only 7 taxpayers for every 100 voters! 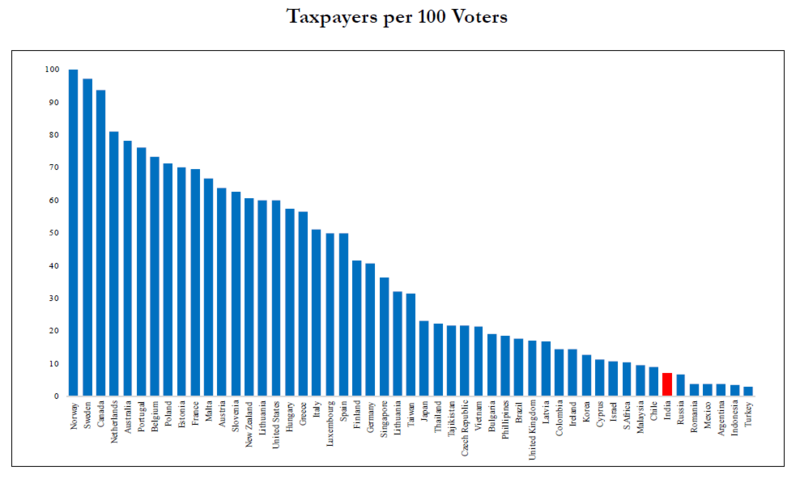 India has only 7 taxpayers for every 100 voters ranking us 13th amongst 18 of our democratic G-20 peers. This raises one important question: India has political democracy, but does it has fiscal democracy? India has a distinctive demographic dividend. India’s share of working age to non-working age population will peak later and at a lower level than that for other countries but last longer. The peak of the growth boost due to the demographic dividend is fast approaching, with peninsular states peaking soon and the hinterland states peaking much later. 3. 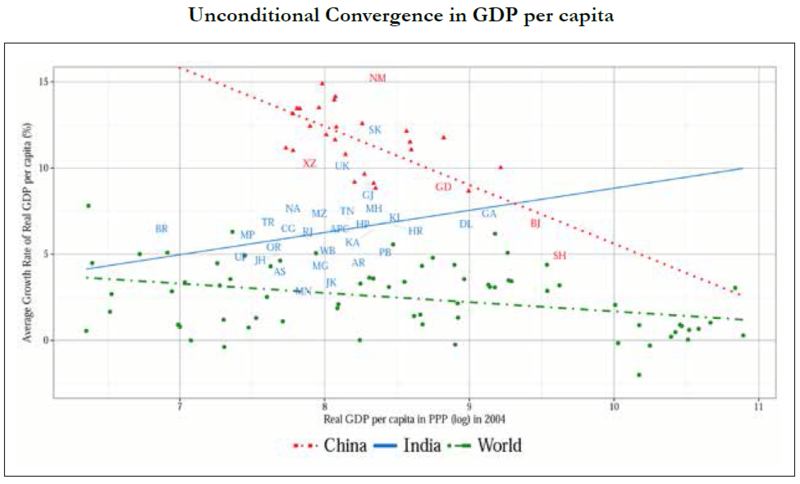 As a percent of GDP, India Trades More Than China! As of 2011, India’s openness – measured as the ratio of trade in goods and services to GDP has far overtaken China’s, a country famed for using trade as an engine of growth. India’s internal trade to GDP is also comparable to that of other large countries and very different from the caricature of a barrier-riddled economy. It should also be noted that India’s internal trade as a percentage of GDP is also reasonably high. India’s internal trade to GDP is also comparable to that of other large countries and very different from the caricature of a barrier-riddled economy. Spatial dispersion in income is still rising in India in the last decade (2004-14), unlike the rest of the world and even China. That is, despite more porous borders within India than between countries internationally, the forces of “convergence” have been elusive. 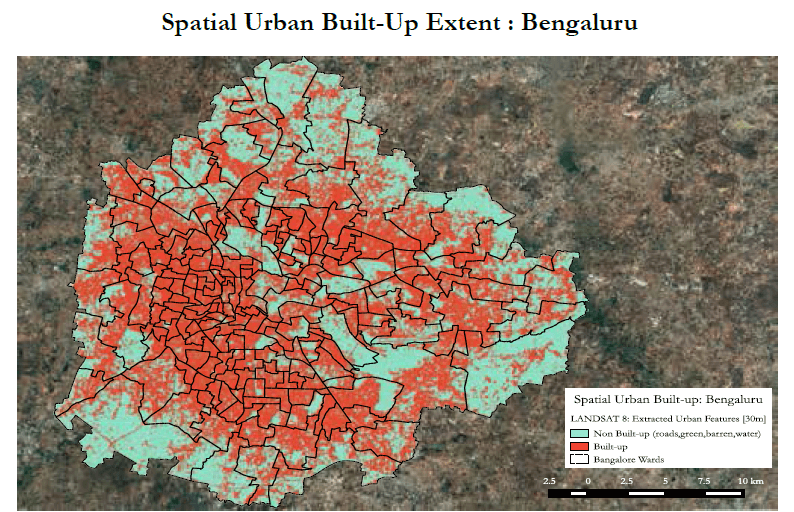 Evidence from satellite data indicates that Bengaluru and Jaipur collect only between 5% to 20% of their potential property taxes. 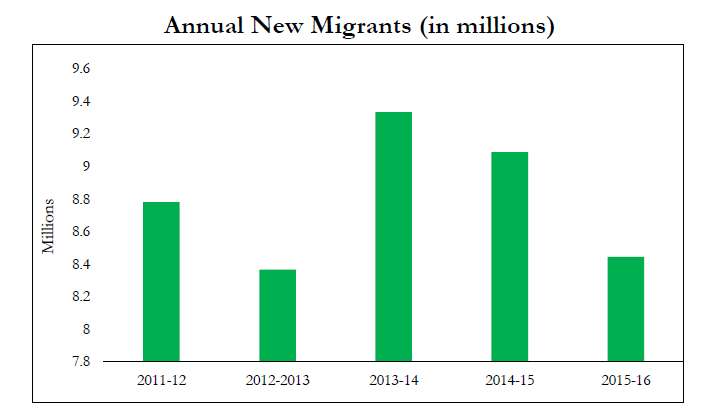 As can be seen from the above graph, 8-10 million people migrate on annual basis for work. This is based on railway passenger traffic data. This figure is almost double of what the 2011 Census suggests. 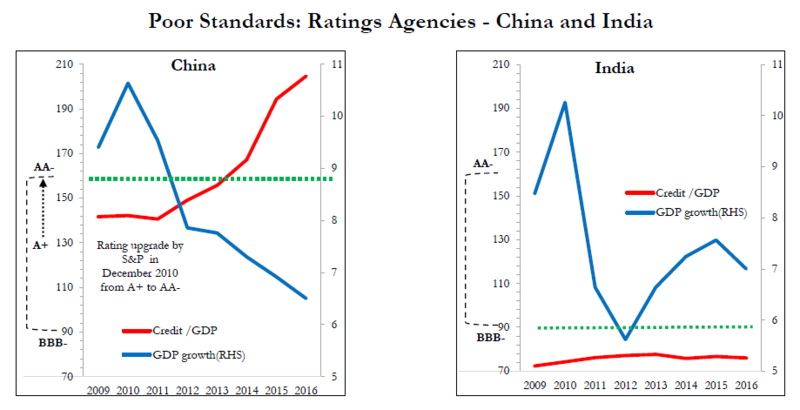 China’s credit rating was upgraded from A+ to AA- in December 2010 while India’s has remained unchanged at BBB-. From 2009 to 2015, China’s credit-to-GDP soared from about 142 percent to 205 percent and its growth decelerated. The contrast with India’s indicators is striking. 8. There is a big shortfall in the allocation of funds to many poor districts! Welfare spending in India suffers from misallocation: as the pair of charts show, the districts with the poorest (in red on the left) are the ones that suffer from the greatest shortfall of funds (in red on the right) in social programs. The districts accounting for the poorest 40% receive only 29% of the total funding. 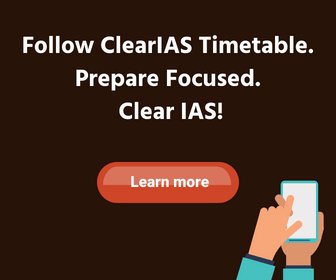 There is a big shortfall in allocation to many poor districts. can anyone help me in economic prep….plzz suggest me how to start it? Thank you for sharing an interesting facts about Indian economy. 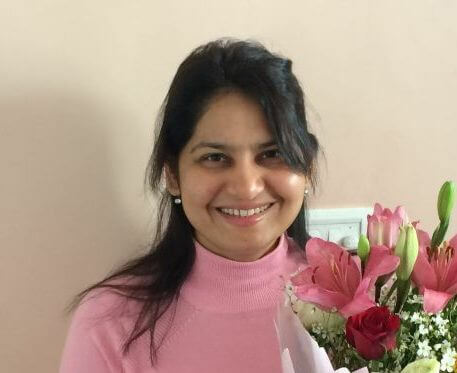 I am grateful to read this blog.